Went to Bejing for Postgres Open China and China Open Source, Open Source World – Command Prompt, Inc. The entire week was spent trying to answer the question, “How can China participate more thoroughly in the International Open Source and Postgres communities?” We had a lively panel that included the COPU (Chinese Open Source Promotion Union), and representatives from local universities, George Neville-Neil, Alibaba, Stephen Walli of Microsoft, the President of the FreeBSD Foundation, and others. The panel was of particular interest as I was able to hear some of the struggles the local community has had, including respecting copyright, language and cultural barriers, and ensuring economic viability. I look forward to continuing to assist the Chinese community in being more productive with not only Postgres but also Open Source. 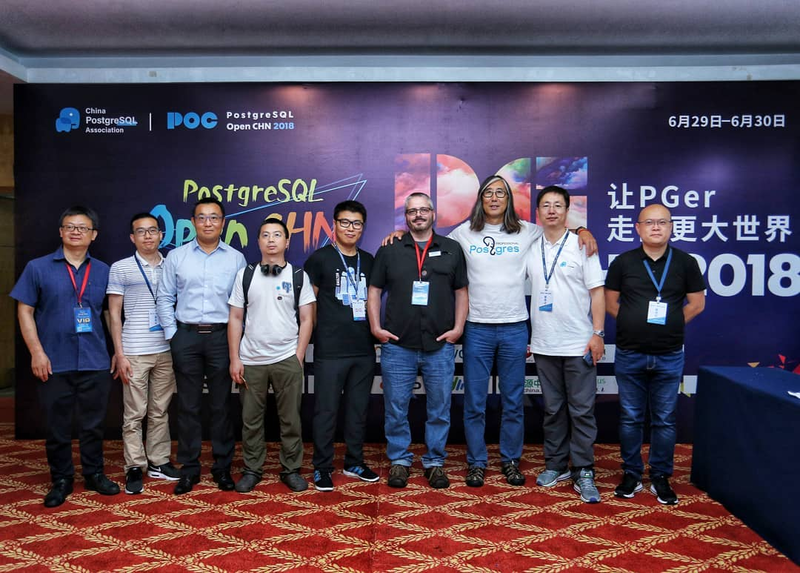 There is a wealth of culturally rich, intelligent, and inventive talent available that the PostgreSQL Global Development Group has yet to tap. It will be an exciting few years as both cultures adapt to work together, the contributor list grows, and we start seeing prominent Chinese developers assisting in the growth of PostgreSQL.